I am back to thinking about theology and history this morning because I just spoke to an adult education group about the problems of writing history from theological texts, and how these problems are confounded when one writes in a field that has privileged New Testament materials, treating them as genuinely more authentic and accurate in terms of history than non-canonical works. In the process of that conversation (in which I was questioned harshly on whether it is necessary to separate theology and history, as if history were the good guy and theology the bad) I realized anew something about contemporary Christianity. Christian theology has been marketed as historical fact in the churches, and this is the real issue at stake. So what are theological doctrines (virgin birth, resurrection, miracles of Jesus) have to be perceived as facts in order for the faithful to remain faithful. I'm not sure what to do with this, except to put it out here as an observation. As for history and theology, I continue to maintain that we must perceive these as separate fields. Theology is not history and history is not theology. Theology is a hermeneutic which attempts to take old authoritative texts and read them doctrinally, with the big question at stake: what does this text say to me about my life as a Christian? Theology isn't "bad." Defining it next to "history" just recognizes that "theology" has a different goal than "history". It also has a different set of assumptions, and one is that the laws of the physical world can be suspended: as in dead people can be resurrected and virgins can give birth. The quest for truth operates in a completely different arena from the historical quest for truth, approaching more the realm of philosophy and philosophy's criticism of history than anything else. History isn't unbiased nor does it give us "the" truth. History is a different pursuit. I am reminded that in Europe, historians like myself characterize their research and writing as "scientific". I have stayed away from this characterization myself, feeling that "science" is the field of biology and physics. So I have used "historical" and "academic" to distinguish the non-apologetic and the non-theological approach to history. But perhaps this has been wrong. Perhaps my European colleagues have it right. History, or perhaps better "the scientific approach to history" is the pursuit that wants to know what happened in the past. The historian is meant to take a position that is not apologetic of a particular past. Its hermeneutical goal should have nothing to do with what the texts mean to contemporary belief patterns, nor should it be apologetic toward those beliefs. I realize now that this is hard to hear for some believers because the church has fostered the position that its theology is historical fact. This theological position is dangerous in a society where intellectual discussions and historical knowledge is so easy to access. Perhaps the Genesis story has it right after all, that the fruit of the tree of knowledge is the downfall of us all! I find it difficult to separate theology from history, in part because the canonical and other texts are presented as history, in part because theology is clearly influenced by history. For example if you believe as I do that an overlay of creedal understanding is present in the gospel narratives, the answers to that riddle are clearly intertwined in terms of history and theology. The elements you refer to as supporting your distinction are creedal elements, doctrines that have taken hold in part because of the historical situation of the churches. Efforts to oppose these tend to refer back to elements of Scripture which supplement or undercut the received creeds. For example, the beatitudinal or iconoclastic or anti-dualist utterances attributed to Jesus. Some of the most forbidden truths are forbidden because of history and are to be found within the canonical synoptics. I actually like your separation of history from biology and think it is an important distinction. Given the current discussion biology would say that it is impossible for someone who is dead and buried to come back to life. History should ask what is the historical evidence that this particular event happened? Granted history should say that as far as we can tell from historical texts the event is not one that occurs with any frequency, (like, for example, war). So as a pastor and a theologian I would affirm that the resurrection happened. I do so on the ground of faith. As a historian I might ask what evidence do we have that such an unlikely event happened? The real problem with the Abrahamic faiths is that they all make historical claims. Did the Exodus happen in some form? Did a king named David actually rule much of what we now call Israel and Palestine or not? Was there even a king named David who ruled in Jerusalem? For these historical questions we have the Biblical narrative and (in the case of David) the much debated archeological evidence. For the Exodus we have no archeological evidence. Now we all have to admit that the writers of the Biblical texts were not doing history as we know it. They were doing applying a theological grid to history. Or maybe looking at history theologically. The question about whether the resurrection happened can be asked as a historical question. The answer can only be based on what evidence we have. And in my opinion that evidence is certainly theological in character and therefore historically suspect. (1) I see what you're saying and I can appreciate the desire to do history unfettered by apologetic and theological considerations. I take on board your caveats about not being anti-theological too. (2) Yet we have to grapple with the fact that the only access we have to "history" is through the theology/ideology (take your pick) of the sources that we have before us regardless of whether that is the Acts of the Apostles or the Gospel of Truth. (3) All tellings of history project part of the storyteller into the telling. That goes for ancient authors and for ourselves! The Scripture and Skepticism Group (or whatever they call themselves now) are engaging in fantasy if they think they are offering a portrait of Jesus and Christianity independent of bias, agenda, or ideology. There is no neutral ground in the telling of the past. (4) History is the study of events which we are not usually observable or repeatable so I don't think historians are strictly scientists. We are at best storytellers telling a story of the past in dialogue with the material residue of our forebearers and in conversation with other storytellers as well. Theology and historical study should be separated but no one in NT scholarship ever does it. Examples are the best way to see this. The so-called Jewish trial of Jesus and the so-called betrayal by Judas are both theology. They do not represent historical study at all — because the evidence does not support them. In fact, the trial and the betrayal are nowhere stated as facts (or data) in the Gospels. They are theories or interpretations of the texts, not facts. But almost every single scholar misrepresents them as facts, so that no one will dare to question whether they are good theories or not, whether there is a better theory that will explain the actual data. It is a fundamental violation of scientific method to misrepresent a theory as a fact, but the majority of scholars in this field do this on a regular basis. Theology rules in the so-called historical criticism of the NT and no one will admit it. The fundamental theology is that Jesus must be surrounded and done in by Jewish enemies. Scholars use this theology to erase any evidence favorable to Jewish leaders and Judas. This is science!? They also use theology to blame it all on the Gospel writers. To claim that the Gospels are dominated by an anti-Jewish theology is just more scholarly theology so that no one will look closely at the facts. The Gospels are not nearly as anti-Jewish as scholars falsely claim. There is a lot of positive information there about Jews and even more ambiguous details that do not fit a negative interpretation very well. Scholars will still not examine the way their own theology or worldview prevents anyone from adopting a scientific approach to the Gospels. There is no clear, critical thinking in a field that is still devoted to theology operating in secret. Many more examples could easily be given. The issues here seem straightforward and relatively simple to me. Capable historians seek the truth -- the facts, and so do theologians, at least up to a point. Knowing perhaps that they cannot attain the full truth, both groups nevertheless seek to approach it as closely as possible unless or until, in the case of the theologians, the truth threatens the basics of their faith. Thus, the historians come closer to the truth than the theologians because, as Pastor Bob indicated, the early Christian writers applied a theological grid to history and/or to their respective sources, and theologians are loathe to detect or identify this grid. This certainly gives cause to separate history from theology. Although history may not “give us the truth,” sincere historians do strive for truths they consider relevant for the questions on hand. And consider that they must avoid serious consideration and discussion of the large amount of evidence supporting the reality of reincarnation, although it has direct bearing upon the question of the validity of resurrection and the genuineness of Gospel accounts that speak or hint of it. Similarly, they must ignore the “Jesus in India” evidence responsible for the “lost years” of his youth and for the traditions of his travel to the Kashmir region and his life therein, in post-crucifixion years. All this is presently outside the scope of “proper” or “acceptable” academic study. It may seem too sensational. Yet, it may be where very important truths lie hidden. Hence, history from an academic viewpoint may be nearly as faulty as from a theological viewpoint. Is this is a typo, or did you mean to write it this way? Specifically, did you mean to write "the theological quest for truth operates in a completely different arena from the historical quest for truth..."? I ask because the sentence at present sounds odd to my ear. Do you really mean to suggest that there is a search for "truth" and another for "historical truth"? If so, in what does the distinction between the two consist? You write: "Christian theology has been marketed as historical fact in the churches, and this is the real issue at stake." Actually, you can go further than that: Christian theology has been marketed as historical fact in popular culture. What's problematic about this, from my perspective, is that this turns lots of people off to the Christian scriptures (a.k.a. New Testament). For many of us, it's really pretty obvious that the Christian scriptures aren't history. So when you assert that they are, lots of people are going to completely reject them. Which is too bad, because the Christian scriptures really are worth reading. I do take issue, however, with your definition of theology. I know people who are doing theology from a post-Christian and/or atheist perspective (e.g., William R. Jones, Anthony Pinn, Sharon Welch). These are professional theologians, but they are clearly not reading texts "doctrinally, with the big question at stake: what does this text say to me about my life as a Christian?" After all, they aren't Christians. In fact, Pinn makes a compelling argument for a very different kind of theological work, based on Gordon Kaufmann's idea of "third-order theology." Pinn defines this form of theological inquiry as follows: "[T]heology is deliberate or self-conscious human construction focused upon uncovering and exploring meaning and structures of religious experience within the larger body of cultural production." (Varieties of African American Religious Experience, 1998, p.4). However, this still does not change your basic point, which is that theology and history are separate disciplines, and really should not be conflated. You also write: "History isn't unbiased nor does it give us "the" truth." Part of my academic training was in philosophical hermeneutics, and part of what training taught me was how to distinguish between logos and mythos. Both forms of knowing aim to get at truth (whatever "truth" might be), both are equally legitimate and equally valid. Under the heading "logos," we might put scientific knowing, mathematics, and the like. Under "mythos," we might put theological knowing, poetic and artistic knowing, and the like. Depending on how it's done, I'd venture to say that history could go under either heading -- this isn't a binary opposition, but looser categories. I find this distinction helpful when approaching theology: theology is knowing through mythos; it still gets at the truth (whatever that is), but it gets at truth in a very different way than physics. From reading these comments I can see my original comment was not addressed to what people take you to mean. The problem is that you suggest that the "improbable" in the NT is theology. To which I would say, hardly. The improbable or questionable texts are the words on which theology -- the work of theologians -- is based. The writings of the major theologians are what theology is. The New Testament becomes hoitory to the extent that theology based upon it creates actions that are history, whether the martyrdoms, the Crusades, the Inquisition, the Anabaptist movement, the heretical movements, Calvin's Geneva, the Peasant's War, the Holocaust, whatever. No text has eventuated in more history than the NT. And because the propositions are claimed to be history, though they are not, we have the situation we have now, when religion itself is dying as people no longer suppose that these things are actually true. Think I will be a little more simplistic here than others. As a person of faith my Theology has no need for historical underpinnings or presuppositions though it has a history. As a Historian I enjoy discovering and putting places, names and events into a time line I can see. One can present all the historical documentation on the city Jericho to date yet not prove a thing on a theology bases. Do I need outside historical evidence that a man named Jesus lived and died as the NT depicts - no. But it is nice to have outside historical evidence to verify a man by that name did indeed. The two fields of study should be separate and only join with the greatest of care in support or denial for one or the other. 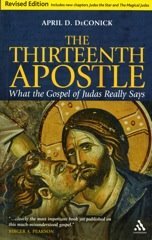 If NT scholarship or historical Jesus studies were an honest discipline, scholars would talk of the theory of Judas' betrayal, the theory of a Jewish trial, the theory of a Jewish conspiracy. The theory of relativity and the theory of evolution will always be known as theories, no mattter how well established they are. That is because science is essentially humble. But NT scholars are not after science or humility. They want power — the power to enforce their theological myths about Jesus as false facts. A number of people above have commented to the effect that the NT is not about history, but about theology. That is a theological idea promoted by scholars in order to keep history suppressed. They impose this idea on the Gospels and then blame the Gospels for their own sins. Some of the conclusions that have been drawn from the NT (the betrayal, the trial, etc.) are false, but the details in the Gospels are not fictional and do not in fact support the theology that scholars impose on them. There is a much better theory to explain these details and to demonstrate that most of them are historically accurate details. One of the theological themes that scholars are obsessed with is to make sure that the historical, Jewish Jesus will never be known and that he will always be a vague figure subject to many interpretations. This has also motivated interest in the Gnostic Gospels. There are good reasons to be interested in these later Gospels (having to do with rescuing silenced voices from history), but the tragedy here is that the same scholars who are interested in these ancient voices are also hellbent on erasing historical voices from the canonical Gospels. It is all motivated by the theology that dictates that Jesus must never become a specific person from a specific time and place. The result is that everything about NT scholarship is anti-scientific. It is pure theology with no interest in science at all. Scholars misrepresent theories as facts, they assume their conclusions (e.g., assuming that Jewish leaders were out to get Jesus and then using the assumption to "prove" their conclusion), they use one theory or interpretation to "prove" another theory or interpretation instead instead of using evidence, and so much more. Scholars violate almost every rule of science to support their theology or theologies. It has gone on for 200 years and will likely go on for another 200 years. I hope it won't, but it is clear that no one has an interest in pursuing a genuine scientific approach to the Bible. presented as theories and nothing more. History and theology are of course different disciplines. Theology studies the work of God in creation through time. This work is referred to as "salvation history" (Heilsgeschicte). It is one aspect of theology. History may be divided into two categories: profane and sacred. Sacred history relates to God's actions in time and space. It of course falls within the purview of the theologian because his concern is the workings of God. Profane history relates to the activities of ordinary human beings over time. They may be personal or collective activities. The theologian studies both sacred and profane history. Both theology and history are "sciences." History is a social science and theology has been referred to as "the science of God." They fall within the department of humanities. They are somewhat pejoratively referred to as "soft" sciences in contrast to the "hard" sciences of physics, chemistry, etc. They are sciences to the extent that they are structured and systematic. Etymologically science simply refers to knowledge. But theology need not be merely focused on the activities of God over time. Theology is often focused on the immediate experience of God irrespective of any time process. Its concern then is on what happened, what transformation may have occurred even as time may have been suspended. In this sphere psychology is its sister as it examines the mind's experience in its encounter with the "Other." Theology may also concern itself with the Being of God, his nature and qualities. Two excellent sources for a better understanding of God's working in history are Oscar Cullmann's Salvation in History and Jean Danielou's The Lord of History. "And because the propositions are claimed to be history, though they are not, we have the situation we have now, when religion itself is dying as people no longer suppose that these things are actually true." Stephen Rose, if I understand this comment correctly I have to disagree with it. I'm not sure where religion is dying. Certainly worldwide religion is resergent. The effects of this in many areas are horrible but people don't seem to have dropped their religion. Of course not all religions make historical claims. I'm not sure that religion is dying even here in the United States, although I think one could make such a claim in Europe among Christians. But if you look at the population statistics in Europe it may soon be Muslim. Or maybe I don't understand what you mean when you say that religion is dying. My definition of religion is somewhat similar to Barth's as I understand him. I personally look askance at religion as distinct from what I believe Jesus had in mind and embodied. I believe that the march of secularism which is global is gradually chipping away at all religions. Now there is clearly another definition of religion as organized entities that go under the name of Christian, Islam and so forth. I believe these organized religions cenerally fall under my initial understanding. They tend to not embrace the iconoclastic center of awareness which stands in prophetic judgment against most organized religion of any faith stream. The injunctions of the prophet Amos come to mind. Not to mention those of Jesus. I believe to the extent that the popular religions suffer atrophy, a non-institutional spirituality can become the bearer of values that move the world's values closer to the justice advocated by all religions in their highest form, but is largely ignored in their institutions. This may not be a very good explanation but I hope it clarifies to some extent what I was trying to say. I am glad that you brought up that website, which I have seen before, because it confirms my point. The theories offered there are broad categories (Jesus as revolutionary, as prophet, as saviour, etc.). Of course, most scholars would not presume to suggest that such very broad ideas are facts. I am talking about something very different, which that website does not acknowledge at all. There are some very speciifc things, not broad ideas, which scholars present or discuss as facts (albeit false facts) and thus hide what they really are, i.e., they are only theories. This includes the things I mentioned above, such as the betrayal, the trial, and the alleged Jewish plot to kill Jesus, and it also includes characterizing Jesus as anti-Temple and anti-Torah. These are all theories or interpretations of the texts, and not very good ones because they do not explain the actual details or facts very well. By misrepresenting them as facts, scholars are deliberately preventing any serious discussion about alternative theories that would explain the evidence better. It is also noteworthy that one category is conspicuously missing from that website: Jesus as rabbi. Ben Witherington III does the same thing in his book "The Jesus Quest". He has many of the same categories as are on that website, and he also excludes Jesus as rabbi or even as teacher. This is odd because Jesus as rabbi is supported by more evidence than any of the other categories — he is called rabbi quite often in all the Gospels, including John, and every teaching and parable he utters is found in rabbinic literature. Yet so many scholars rule this out. On my website, I have an essay "Rabbi Joshua" that deals with several attempts by prominent scholars to dismiss "Jesus as rabbi" as a valid category. 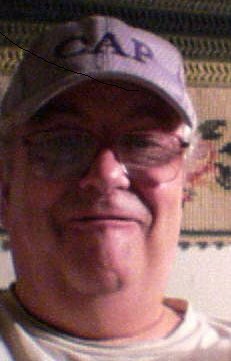 (Just click on my name above which takes you to the Google profile, where there is a link to my blog, and a link on my my blog to the website). The anti-Jewish approach is still very much in vogue in NT scholarship. The anti-Jewish theory of how Jesus died (including the betrayal and trial) is presented as fact instead of theory so no one will try out another theory. Will the day ever come that a scholar will say, "Yes, these things are theories, not facts, and perhaps we were wrong to obscure that. It is also true that these theories leave lots of problems with the evidence that have never been explained very well. Maybe we ought to let someone try to come up with a theory that could do a better job"? How hard is this to say? Apparently it is impossible for NT scholars. One of the things that genuine scientists do is that they encourage experimenting with different approaches, especially when everyone knows that the traditional approach does not explain the evidence well. But not NT scholarship. Different approaches or theories are forbidden. Biblical studies has always been about ideas, not facts or the evidence. Scholars are in love with the idea of Jesus being surrounded by Jewish enemies (this always means lethal enemies and this too is a theological theory; "enemies" is not a fact in the Gospels but a rather bad interpretation of the Gospels). To be a scientist is to be excited about the evidence. But NT scholars are excited only about their power to erase all the evidence that leads to a much better theory. And they are willing to violate all the rules of science to maintain their theories. History is reality as we can best reconstruct it. The claim "Theology is not history" can only be true if God has done nothing real or is not real. It begs the question that a historian faces when reading the gospels (inside or outside of the canon) in their own setting and context. It's a dogmatic presupposition that puts blinders on the historian and prevents him or her from doing good history. For example of how this plays out, let's say we have two groups of texts. One of group of texts speaks of Jesus in largely non-physical terms, in non-Jewish terms perhaps borrowed from Hellenistic philosophy rather than Judaism, with settings that are not recognizable locations in the world or eras in history. Here is a Jesus who may never go to Jerusalem, may never criticize fellow Jews for showing off their big phylacteries, and may not even be physical (e.g. may not eat a meal or sleep). For that matter, he may not even be Jesus; what if he's never identified by name in some of the texts? Then we have another group of texts which spoke of Jesus in physical places, doing physical things, in an identifiable first-century Roman-occupied Jewish setting. He goes to Jerusalem. He likes figs. He likes broiled fish. The author knows when figs are in season in Jerusalem compared to when various feasts are held. He talks about some of the Jewish controversies surrounding the Roman occupation. Now, is it ridiculous to "privilege" the texts with more emphasis on history (reality as we can best reconstruct it), or is it ridiculous to think that all texts have the same interest in history? The distinction is fine as far as it goes, but there is a big problem here. Correct me if I'm wrong, but the Gospels are viewed both as history by Christians. If the Gospels are "only" theology, aren't the foundations of Christianity threatened? Let us suppose that the trial of Jesus, as narrated in the Gospels, is shown to the historically implausible, and further, that the historical implausibilities have a certain logic. In the case of the trial of Jesus, the logic might be, let us say, an attempt to absolve the Romans of any guilt in the killing of Jesus and place the blame for the crucifixion on the Jews. Aren't we necessarily dealing with theology AND history here? Does the invention, for example of the apparently non-existent custom (here we are talking about a point of history) of releasing a prisoner once a year, have no bearing on theology? The risk here is that one can use the distinction between the two fields as a device to shelter any religious text from questioning from a historical point of view. Would you say that the historical accuracy of the NT narrative is somehow irrelevant because the NT is "theology" ? The trial of Jesus and the betrayal by Judas are not facts stated in the Gospels. They are later theological ideas imposed on the Gospels. They are bad theories that do not explain the evidence in the Gospels. The Gospels contain many good historical details. Scholars just refuse to pay attention. What can I contribute to The Jesus Project? Any new information about the Ohio fragments?